This completely crack-free, Script logo LG-2 is a jewel. A lot of players say the script logo Gibsons from right after the war are better sounding and better-built guitars than the Banner Gibsons. All of the good things about Banners, but with better craftsmanship. 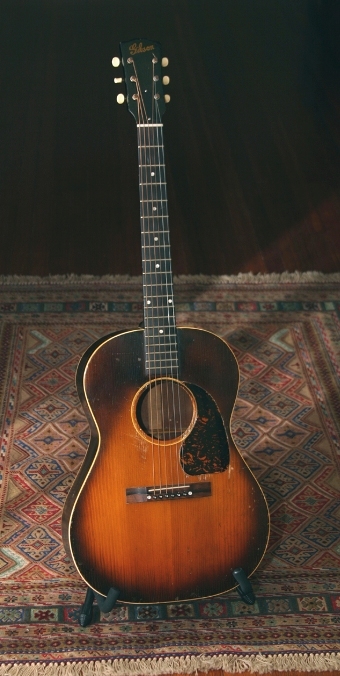 All original finish, everywhere. Mahogany back and sides. 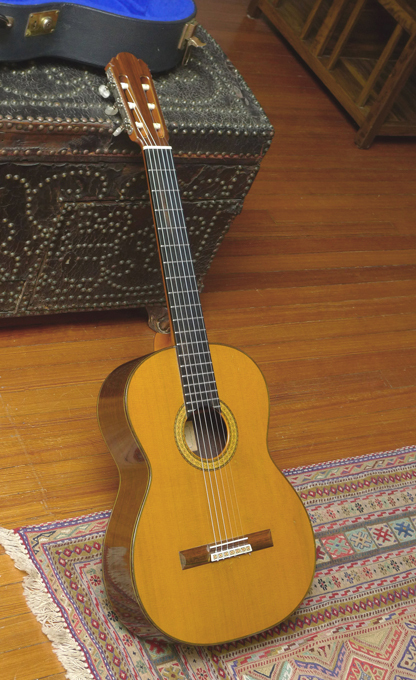 Spruce top. Not a crack anywhere. 1-3/4″ nut. 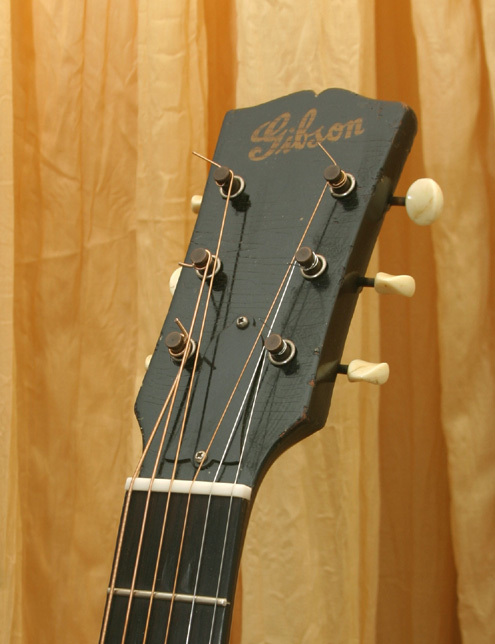 The bridge is an excellent quality rosewood replacement. Original maple plate. Original tuners. Replaced nut and saddle. 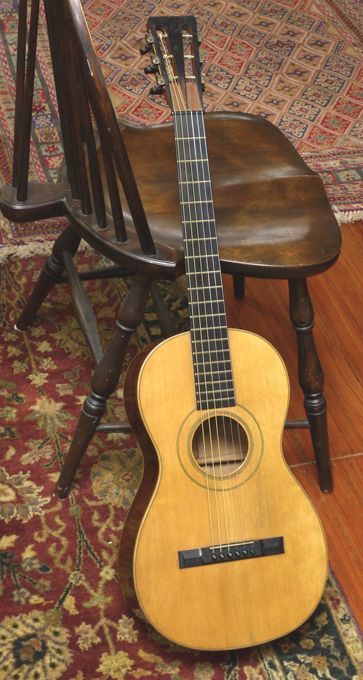 Rosewood fingerboard shows moderate wear on first couple of frets. 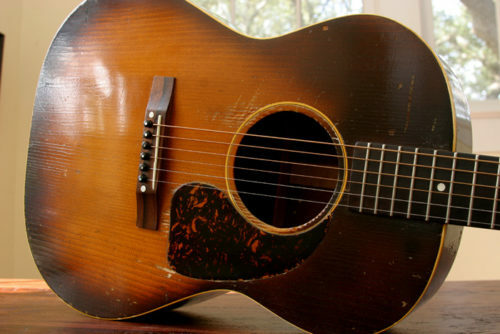 Some of that wonderful Gibson 40’s crazing to the finish, but not at all out of hand. Various pick marks, and dings. 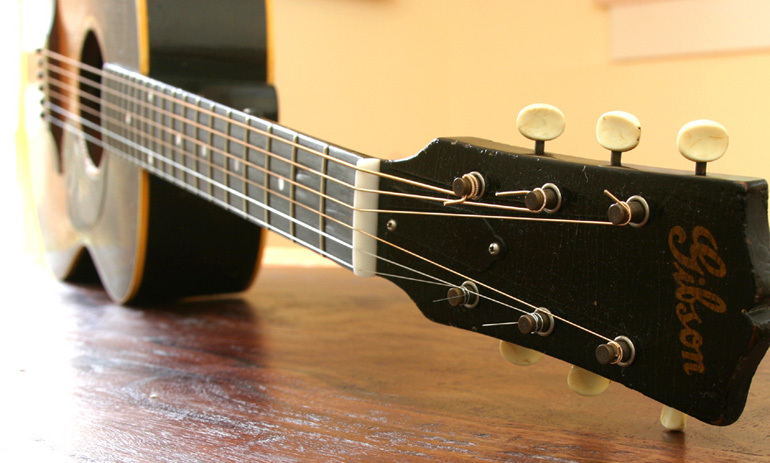 Original tuners, bridge, plate. Piezo pickup was skillfully de-installed, and endpin jack removed and plugged. One of the finest Script logo LG-2s you’ll find.